Multiculturalism in Canada is the sense of an equal celebration of racial, religious and cultural backgrounds. Multiculturalism policy was officially adopted by Pierre Trudeau’s government during the 1970s and 1980s. A Chicago journalist dedicated to investigating the ease with which one can acquire an AR-15 had his purchase denied based on a “domestic battery” charge uncovered by the gun store. 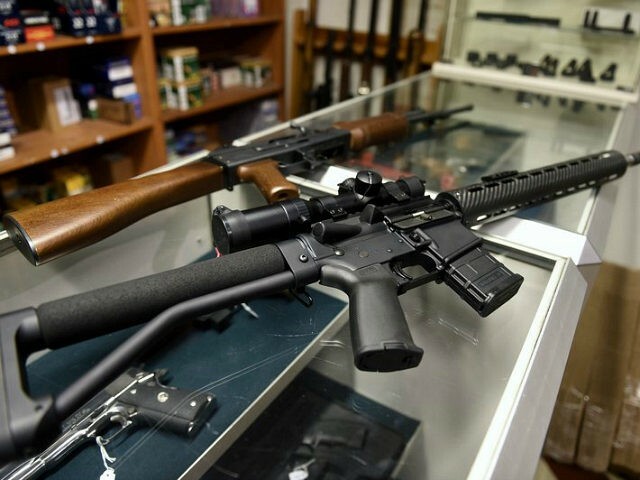 Writing in the Chicago Sun-Times, Steinberg explained the process of going into the store — seeing the “cases of weapons” — and of trying to buy the AR-15. He looked at a Smith & Wesson M&P AR-15 and made sure to point out that the gun comes with a “standard issue 30-round magazine.” He agreed to buy the gun. It is tough being a journalist in Somalia as reporters have been among victims of unrest and chaos since the country descended into war in 1990. Abdifatah Hassan is a visually impaired journalist from Somalia, he hosts a parliamentary affairs radio show at Goobjoog FM in Somalia’s capital, Mogadishu.. According to him, he lost his sight when he was a baby, he said at first it was difficult for him to find work, even after going through training in the field in 2002. I decided to be a journalist over ten years ago, I got some help from colleagues in the field and efforts have made me became a professional journalist. He said he got his first job in 2012 and has become a well-known journalist in the country today. “I decided to be a journalist over ten years ago, I got some help from colleagues in the field and efforts have made me became a professional journalist,” he said. Hassan hosts a show that talks about issues that affect disabled people in the country and tries to create more awareness for others like him in Somalia. With the government still struggling against the insurgency and putting institutions in place to run the country, support for people with disabilities is limited. One of his colleagues, Mohamed Muse said he works well on his own and rarely needs their help. “I have known Abdifitah for a number of years now, and he is a very talented and respected journalist in the field. He covers events easily and is always on time, without help from anyone,” he added. Mogadishu’s security has been improving over the years but many parts of the city remain no go areas. “Somali journalists face a lot of problems when they are on duty. The main problem is that journalists often lose their lives when they cover breaking news. Only last year five journalists lost their lives but most journalists are still ready to take that risk,” former Assistant General Secretary, National Union of Somali Journalists (NUSOJ), Abdirahman Omar said. The country is ranked 172 out of 180 countries in the 2015 Reporters Without Borders press freedom index. This year’s short list was dominated by independent publishers; the other finalists were Andrew Forbes for his short-story collection What You Need (Invisible Publishing); Robert Hough for his novel The Man Who Saved Henry Morgan (House of Anansi); Janette Platana for her short-story collection A Token of My Affliction(Tightrope Books); Karen Solie for her book of poems The Road In Is Not the Same Road Out (House of Anansi); and Lynn Crosbie for her novel Where Did You Sleep Last Night(House of Anansi). Friday 17 June 2016 08.20 BST Last modified on Friday 17 June 201608 in Texas are treating the death of freelance journalist Jay Torres as murder. His body was found in Garland, a suburb of Dallas-Fort Worth, on Monday (13 June). He had been killed by a single shot several days before, according to police. Torres (full name: Jacinto Hernández Torres) was 57. He ran a real estate business as well as acting as a contributor to La Estrella, the Spanish-language sister newspaper to the Fort Worth Star-Telegram. He covered local social issues. A search of his articles on the paper’s website by the Committee to Protect Journalists (CPJ) showed that he had written recently about the Mexican elections, concern about the dangers of underage drinking, and the effect of US voter identification laws. The motive for his murder is unclear. His daughter, Aline, told reporters at a press conference that there could be a link to her father’s journalism: he was working, he had told her, on sensitive stories about illegal immigration and human trafficking. His son, Gibrán, told the CPJ that, aside from investigating riskier stories, he was also worried about dealing with angry tenants as part of his real estate business. His body was found on the back patio of a house that was for sale and which, according to his daughter, he was preparing to acquire. The CPJ’s Carlos Lauría called on the authorities to investigate the possibility that the murder was due to his journalistic work. Torres, who was born in Monterrey, Mexico, had lived in the US since 1979. He had worked for La Estrella for 20 years and was an active member of the National Association of Hispanic Journalists. Killings of journalists in the United States are relatively rare: seven journalists have been killed in the country because of their work since CPJ began documenting cases in 1992. CAIRO — An Egyptian court on Saturday sentenced six people, including two Al-Jazeera employees, to death for allegedly passing documents related to national security to Qatar and the Doha-based TV network during the rule of Islamist President Mohammed Morsi. The amendment, proposed by independent MP and ‎journalist Mostafa Bakri and another 324 MPs, aims at‎changing Article 86 of the Press Law (law 96/1996) to allow the ‎president to issue a decree that gives him the‎power to appoint a Higher Press Council for one ‎temporary term until the new law on the regulation of ‎the press is passed by parliament. Bakri told the committee meeting that the amendment is ‎an important and necessary measure as the legal term of ‎the current Higher Press Council, which is in charge of ‎naming editors and board chairmen of national press‎organizations, expired last January. Bakri insisted that the amendment does not have political ‎dimensions. Osama Sharshar, an independent MP and journalist, ‎criticized the way the legislative amendment was rammed ‎through the media committee. “This surprising speed – in ‎around one hour – reminds me of the way how laws were ‎passed in less than 24 hours under the regime of (former ‎president Hosni) Mubarak,” said Sharshar, who urged MPs to ‎wait until the new laws on media and press regulations ‎are referred to parliament. Khaled Youssef, an independent MP and ‎a high-profile film director, also highly criticized the ‎amendment, crying foul that it gives president El-Sisi ” ‎exceptional power”. “Rather than discussing a legislative ‎amendment in record speed, and rather than granting ‎the president an exceptional and undemocratic power, we ‎have to exert pressure on the government and the state ‎council to refer the unified law on the regulation of the ‎media and the press as soon as possible,” said Youssef. Heikal said a report about the new legislative amendment ‎will be prepared by the committee to be discussed by ‎parliament during a plenary session. “And I expect this report ‎to be discussed by parliament next week,” he said. A firestorm of protest, including a threat by Shas to cease voting with the government in the Knesset, erupted on Tuesday after Rami Sadan, the new chairman of Channel 10, was accused of making racist and disparaging comments about Mizrahi Jews. Sadan’s comments were allegedly made during a directors meeting of Channel 10 held several days ago. “Let’s admit the truth, I, like you, am in the elite, hate the Shas movement and the thief [Shas chairman and Interior Minister] Arye Deri. But we, as the elite, need to expand the channel’s circles, and appeal to Shas’s audience, to Massuda from Sderot,” Haaretz quoted Sadan as saying. The phrase “Massuda from Sderot” is a derogatory term for a Mizrahi woman from a development town in the periphery, such as Sderot. In the wake of the comments, Shas demanded that Prime Minister Benjamin Netanyahu fire Sadan for what the party described as his racist remarks. In a statement to the press, the party said that as long as Sadan, who is reportedly close to Netanyahu, remained in his position, Shas MKs would vote “as they see fit,” a threat to stop supporting the government in votes in the Knesset. Deri himself took to Facebook to denounce Sadan, saying that, even in 2016, racism toward Mizrahi Jews still exists in Israel. “In Israel in 2016 there is racism. In Israel in 2016 people scorn the Mizrahi public. In Israel in 2016 there are people who look down on an entire community that is part of the State of Israel,” wrote Deri. “Shas voters are not surplus to requirements, Shas voters are hundreds of thousands of Mizrahi Jews who decided to unite and to lift up their heads to eradicate phenomena like Rami Sadan. Sadan later denied he made such comments, telling Channel 2 Online that one of the directors of Channel 10 – who had been a candidate for the chairmanship of Channel 10 – was attempting to stymie his appointment. Sadan said he never mentioned Shas or Deri in the meeting, and that what he had been trying to express was the danger of keeping the media in the hands of the elite and away from the Russian, Arab and Mizrahi communities. Following Sadan’s denial, Channel 10 director Golan Yuchpaz supported the Haaretz report, saying he had been present when Sadan made the comments. “After a storm that as gone on for hours, things should be made clear: Rami Sadan told the members of the [Channel 10] directorate and to me: I hate Shas and Deri exactly as you in the elite do,” Yuchpaz Tweeted. Despite Sadan’s protestations, a series of government ministers and members of Knesset lined up to denounce his reported comments. The union representing the Toronto Star’s newsroom workers has called for an independent investigation after one of its reporters took her own life, the newspaper’s public editor wrote Tuesday. Global environment reporter Raveena Aulakh, 42, died “recently,” the Star’s Kathy English said. The newspaper’s management told English it had conducted an internal investigation into allegations that she had been involved in a relationship with a senior manager, Jon Filson, which were included in emails the award-winning journalist sent to colleagues in advance of her death, she wrote. “Further, the clearly heartbroken reporter made allegations in those emails about an improper relationship between Filson and his boss, managing editor Jane Davenport,” English wrote. The Star had announced Monday that Davenport would be moving out of the newsroom and take another job within Torstar. English said that Filson no longer works for the paper. Torstar CEO and acting publisher David Holland said the investigation concluded the organization’s policies related to workplace relationships and conflicts of interest need to be “amplified,” English reported. The union, however, said that they want to see a third-party investigator called in as well. The union’s representative, Steve Gjorkes, could not be reached by CBC News Tuesday night.